There are a variety of ways to wash a car and they all have different environmental impacts. Washing a car at home the old fashioned way is probably the worst. The wash and rinse water is loaded with dirt, oil and detergent that ends up as run off into the storm drains and directly into rivers. My storm drain waters end up in the San Francisco Bay and the Pacific Ocean. I have not washed a car at home in years as it was not a chore I enjoyed and never balked at the prices at the automatic car washes. I have to confess, I am not meticulous about keeping my car dirt free. Traditional commercial car washes use less water than an average home user, and by US law they must drain their wastewater through the sewer system not the storm drains. So the water is treated and cleaned before being diverted to the ocean. Also many car washes recycle their own water. When I owned the Roadster, I washed my car at two different places. A ‘touchless’ car wash and in one of those old fashioned places where you wash it yourself but they have higher pressure water for a few quarters. I had not washed a car myself in years, but the Roadster was so small it was a pretty easy job. I started to go to the touchless place more regularly till at one point they said no, the car is too low. When I got the Model S, I figured I’d go back to the local touchless place. But when I got there they said they could not wash my car. I was a little perplexed and I had no idea why. 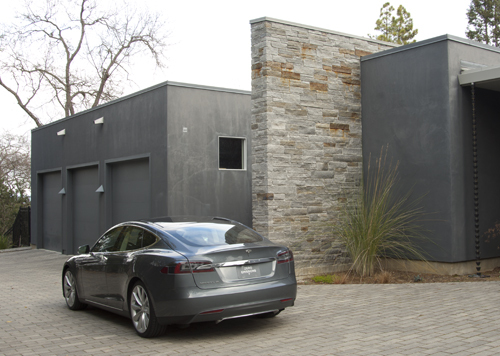 The Model S manual warns you against the typical paint finish issues with any car. Most automatic car washes in California work by pulling the car through the mechanisms while in neutral. With the 4.x software, forcing the car into neutral without a driver in it was not particularly straightforward. With the 5.x software there is a tow mode. I am still waiting for the software update. I was not particularly fond of this car wash, so I started to look around where other Model S owners were getting their car washed, and I discovered a better car washing method that does not use water. I found a facility reasonably close that is much more ecologically correct. I have now been there three times. I mentioned earlier I am not very picky about having a clean exterior! 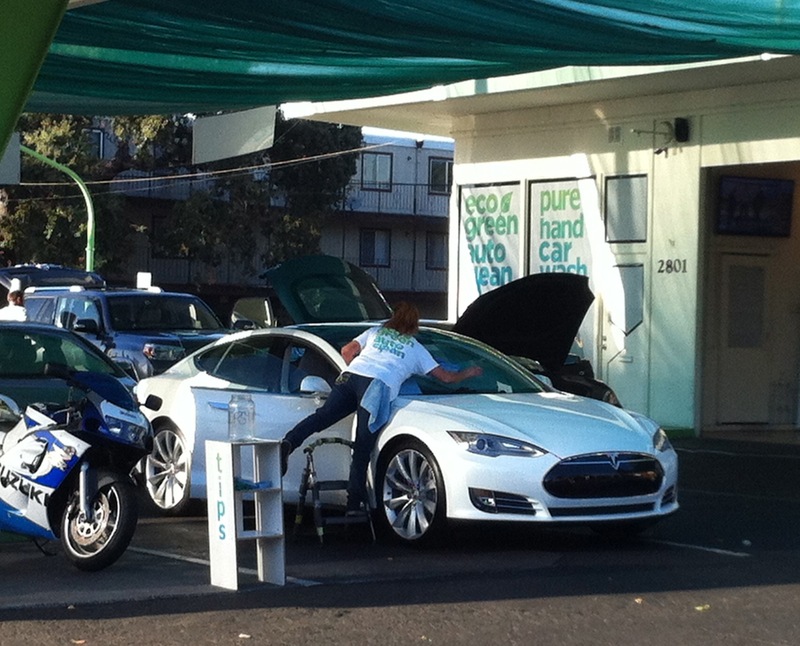 Also every time the Tesla was in for service, Tesla had my car washed. I am very satisfied with this waterless method. On a cost basis, the car wash is a little more expensive than a water based one, but I think not using water is worth the few extra dollars. Model S cars with a ton of scratches on the trunk, where people clearly put their groceries on top of the car and scratch up the finish. A lot of curb rash on the wheels. I am guilty of curb rash, primarily in the front right wheel but I don’t have the other two problems. 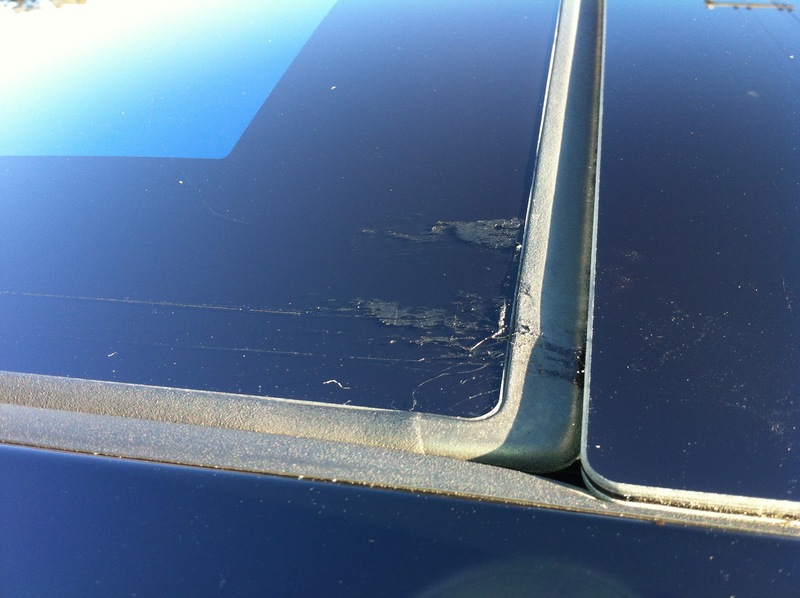 I had noticed some grease near the moonroof, and he said that many Teslas have this problem and service can swap out the correct parts to stop the grease from appearing again on the roof. I will have service fix this when I go in for my annual service. I picked up my car at the factory and took a tour. What a fun experience for myself and 3 companions. We had a tour with I think 10 folks and a great guide. When you drive up to the entrance there are several gates listed but no number 5 as is listed on their web page. But the missing gate number 5 is the main gate listed between gate 4 and gate 6. Upon entering the Main Gate, there is a sign that says you are entering a US Free Trade Zone. Neither the guard nor the employees knew what this sign meant. One of the oddest things is they have an archaic sign in station for visitors that is cumbersome and silly unlike everything else Tesla does. The tour itself was fabulous. We were not allowed to take photos. It lasted about an hour and fifteen minutes. Our group had a lot of questions. The guide avoided answering questions such as “How many cars are you building now?”, “How are the batteries put inside the steel frame?” and “What is the base operating system of the touch screen?” Look to the images on below to get some serious hints on the third question. A lot of employees on bicycles and scooters as the place is gigantic. The factory still has a lot of items left over from the NUMI days, and Tesla has made use of a lot of things that were left behind. We all loved watching the robots, which are the German Kuku brand. Tesla still has a lot of employees doing manual assembly work putting in the wires into the frame and other tasks. Some of these tasks cannot be automated. Most employees seemed super serious and intense about their job. The employees were mostly male, although there were definitely more than a few female ones, and mostly on the younger side of the scale. 1. The Palo Alto development location will continue to exist. Rumors that everyone is moving to Fremont is not true. 2. Green and Brown are rare colors. 3. 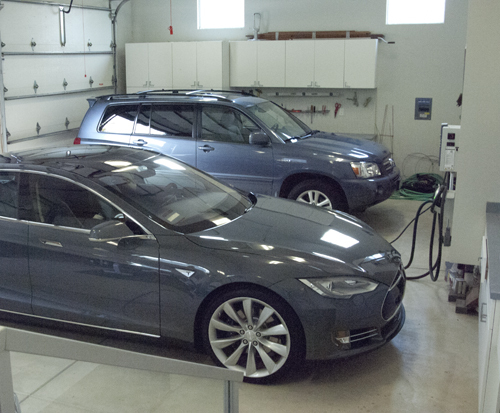 The battery weighs the same for 60KW and 85KW. 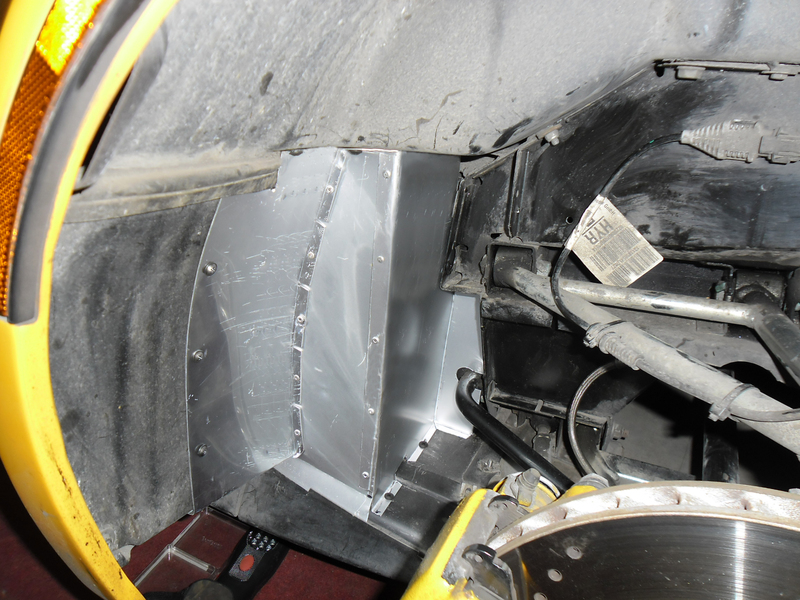 Dead cells are put into the 60KW battery in order to keep the weight the same. 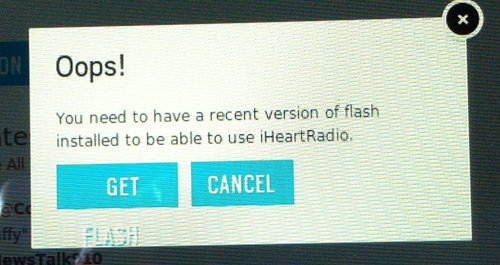 This odd feature is to avoid performing two sets of crash tests. 4. The window glass except for the panoramic roof are tinted green. 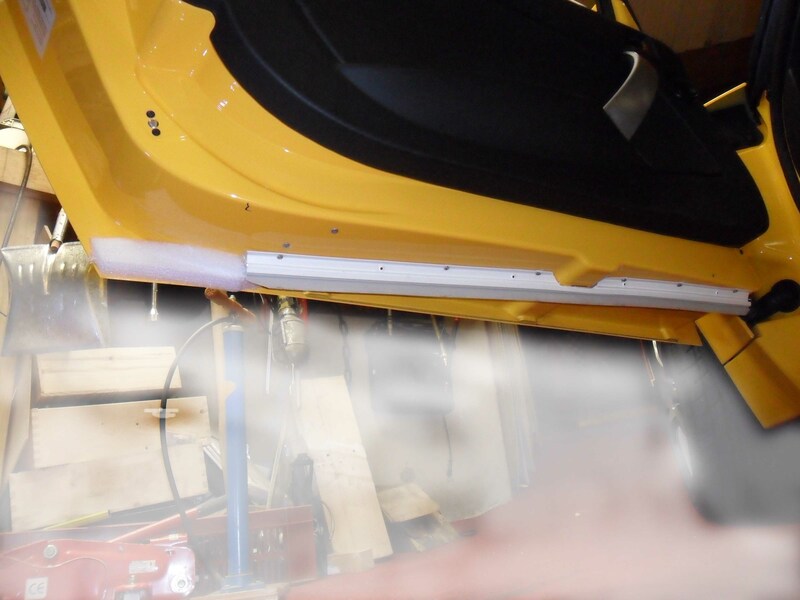 The green is not visible to the naked eye when installed in a single thickness on the car. In the factory they are stacked up in a line, and they are very green. The car delivery was very nice in our own little bay. With four of us, we went over all the detailing and mostly found bits of dirt or wax and one tiny spot on the side of the car. The spot is very hard to see or photograph even with my SLR but the delivery specialist did put it down for the service guys to fix. The car had quite a bit of dust and wax. A little better of a final cleanup would have been appreciated. Also when I turned it on the Air Suspension rose up. He said this would not happen again and was an anomaly. The car had only 11 miles on the odometer. They unfortunately did not deliver my Roadster to Model S adapter for charging! So I have to charge with 110 until it arrives. I also have no idea of an estimated arrival time, and do not have a designated contact to ask. I think this process needs improvement. I would also have appreciated an email confirmation when Tesla received my money via wire transfer. 1. It is super comfortable for four people. 2. The car is super quiet. With the windows rolled up we could not hear the nearby 880 freeway. 3. The sound system is wonderful. I was singing all the way home. Occasionally the bluetooth connection broke up for a few seconds. I think the overall experience is great particularly since the car is so quiet. I did get the upgraded system and do not regret the dollars. 4. The car is very quick to accelerate. As a Roadster owner, I did notice that the first second feels slower than the Roadster both with my non-performance and the performance during the test drive. My companions thought I was a little nuts, but I could definitely feel the difference. I suspect difference is mostly due to the huge difference in weight and the feel of the car. The Model S feels like I am almost mid air even with sport suspension on. Not in the same way as cars of yesteryear where you were on a pillow that floated around a bit, but almost mid-air. With the Roadster, you feel every nook and cranny and get more noise feedback from the environment. 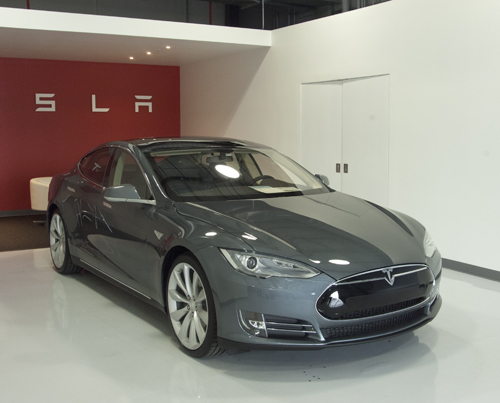 You definitely hear the inverter squeal when flooring it on the Model S. I feel like I am in my little happy bubble. I did save the 10K on getting a performance model though. I just couldn’t justify this cost for the performance version for a one second experience. If that were the only important criteria, I should keep the Roadster. I found with the Roadster during regular driving, there were so few times where you could accelerate from a dead stop to beyond 40mph due to other cars around. 5. I also noticed a large difference in the feel of regenerative braking versus the Roadster. With the Roadster, you feel like the car immediately stops. 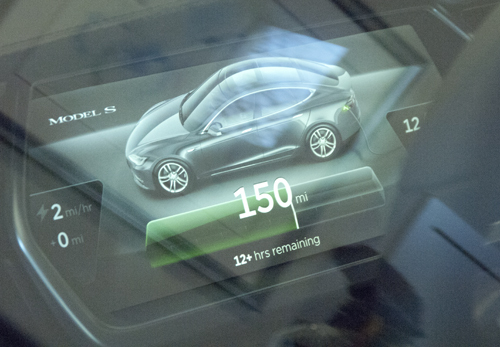 Due to the weight of the Model S, this feeling is diminished. 6. The road to my house has a 17% grade for about 1/4 of a mile, which is very difficult to ride a bike up. The car accelerated up like a dream. On the downhill, the behavior seems tuned quite different than the Roadster, and I have not been able to quantify it yet. 7. I went on a few winding roads and love the way it handles with the 21″ wheels. 8. I did try the AM radio. It had some static but was stronger than the Roadster AM signal, which I reported many issues with on this blog. I did try to use the internet streaming version, but I was not successful due to the problems in the first two pictures in this post. 9. I still have new car smell on the exterior. My garage smells different! 10. So far I really like the climate control. I drove for a bit on a sunny 58 degree Fahrenheit day with the panoramic roof open and the heater on to get just a bit of sun. The cabin stayed warm, and the sun felt good for ten minutes even on the freeway. 11. I spent some time talking to folks already about the car. I was visiting a friend at a hospital 30 miles away from home, and asked them to point me to the visitor entrance. Once I spoke to them, they asked me a few questions about the car. 12. The navigation worked as advertised. I didn’t really need it but decided to play with it. It does give me a very odd way to leave my street and get out on the main road via two other streets that no other navigation package has done: my Roadster, my former Mercedes, my Highlander, Mapquest nor Google. Gratuitous photo of the car going to its new home. As I mentioned before, they did not deliver my adapter, and my laundry room is in the center of the house, so I am on 110 for a while. 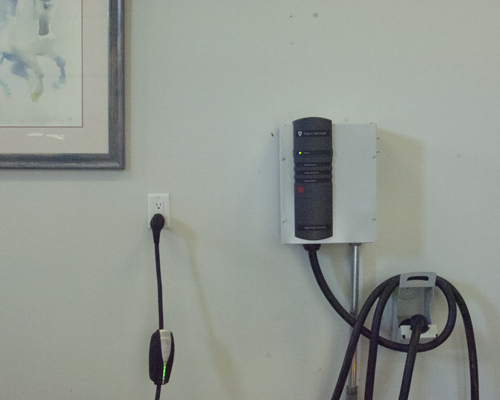 I will need to keep the car plugged in at all times in order to keep a good charge. The same clever European owner who devised one solution for dirt accumulation has devised a second one for the rear wheel arches. 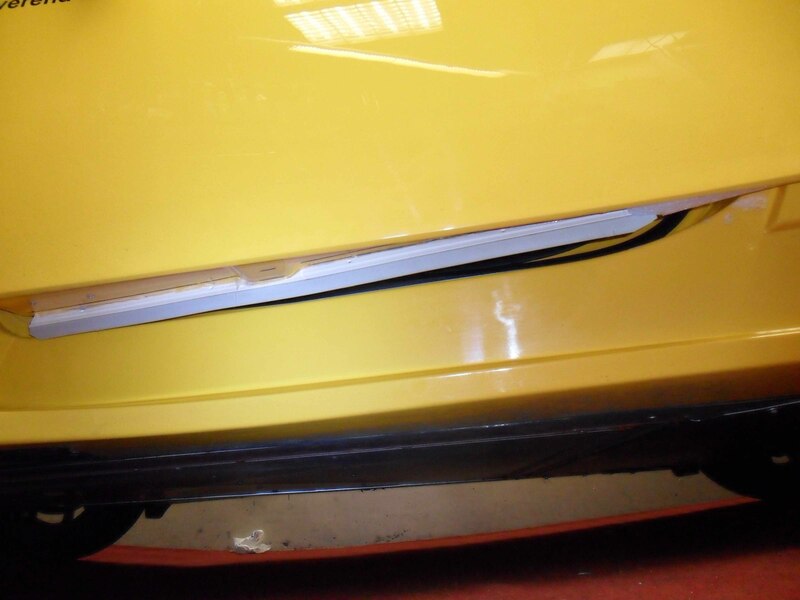 Here is a photo of his roadster’s rear wheel arch before the modification. 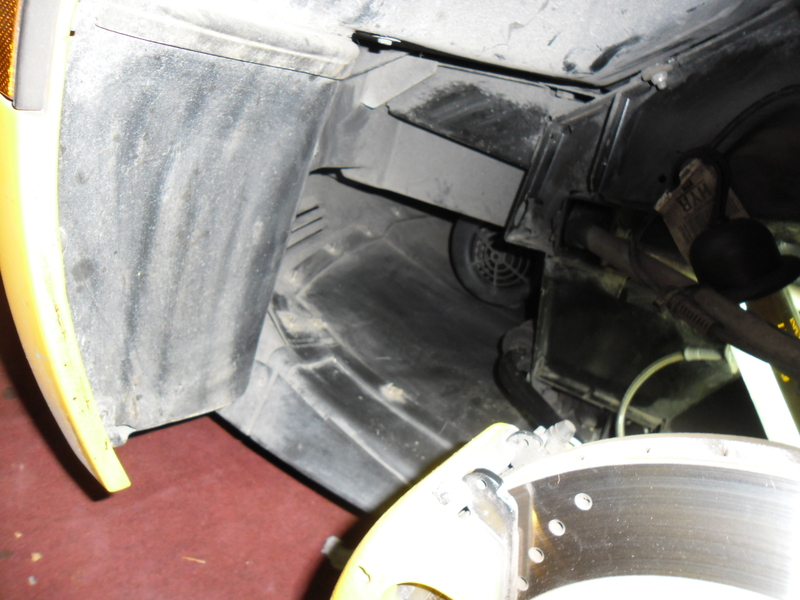 This area of the car accumulates a lot of dirt as air is passing by to the cooling fans, but is not necessary as there is plenty of other airflow. The modification is a simple aluminum box. 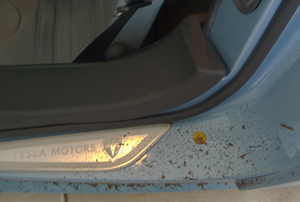 A European Roadster owner has devised a simple solution for the dirt accumulation problem. Using rubber strips, a piece of foam and some screws, he has solved the problem for his car. I am not sure what the correct name of this part of the car is but I do know that it can get filthy in the rain. Fortunately for me, it does not rain here too much so this is not a big problem. But when it rains a lot, a lot of water and debris can accumulate on the section of the car you step over to get into the seat. I didn’t really notice this too much until I wondered why my pants had unexpected amounts of dirt on them. The service department told me that there is not a fix for this, and engineering is busy working on the model S. They did say that a lot of other Tesla customers have complained about this problem.